When I entered secondary school, I heard that girls did not like mathematics. This was evident from the number of girls in ‘Serie C’ (Scientific class). By the 4th grade, I decided to increase my level in mathematics and Physical and Chemical Sciences to be able to advance in ‘Serie C’ and I made it. As the only girl in the class, I often doubted myself and even teachers told me that my place was at home and that I was wasting my time in the classroom. After my BAC, a close relative advised me to study everything I wanted except computer science because she did not want another “mad man” in the family (referring to a cousin who spent the whole day with his computer). She thought that for a woman, it would be impossible to reconcile the passion of computing to a home life. It was then, without understanding anything about computer science, that I decided to study it at university. During the first year, at the insistence of a few teachers, a huge number of my classmates (boys and girls) had to change their course because according to these teachers, they were not enough good to succeed in computer science. I stayed and graduated successfully. Customer: Hello Miss, can I talk to Peter? Me: Pierre went to a customer. Me: John is not here, too. What can I do for you? Client: No Miss, I need to talk to a technician. I remember taking a deep breath before explaining to the customer that I was a technician too and could solve his problem. However, he preferred to leave a message for the colleague. When I moved from ICT Department to Business Department to take care of B2B as Technical-sales, the same customer started admiring my technical knowledge which convinced him more than marketers’ speeches. Since that time, I began inspiring and motivating girls through my own experience that they can achieve all theirs goals. They just need to decide and work hard and not listen to others. Grace completed her Bachelors degree in Journalism and Communications at the African University College of Communications in Accra, Ghana. 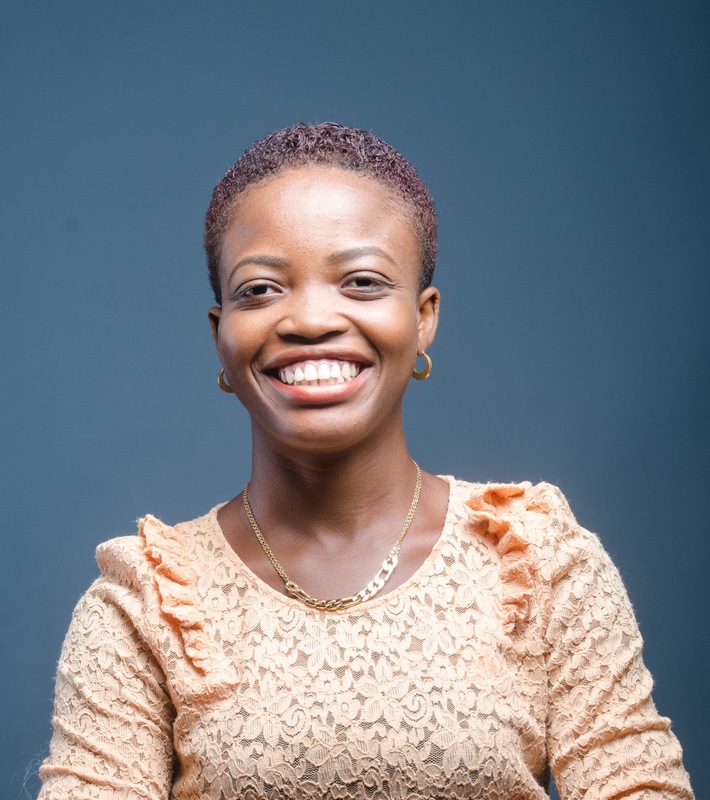 After returning back to Benin, her aim was to set up her own online media called www.ladygracious.com which promotes innovation and creativity in Africa. She found out that with the experience she had gathered and the weak percentage of women in ICTs, she could go further and give back to society what she knows by training girls to enter ICT related fields. So with a group of friends AC-FEG was created. It’s all in the mind. The limits we give ourselves are in the mind. Today, with all the speeches on women empowerment, I think it should help women to know that nothing is impossible if only we believe. The most important thing is to try, before saying it didn’t work. We can do it! Access to Computer For Every Girl (AC-FEG) is a non-governmental organisation created by a group of young Beninese in 2016. Motivated and committed to the cause of vulnerable girls, the organisation aims to provide girls with better opportunities to excel in life through the use of ICT. Our goal is to train a maximum number of girls in high-school, especially in the villages of Benin, to fight against intellectual ignorance in all its forms, and to help colleges and high schools acquire computer equipment. Our primary mission is to promote access to free ICT training for more girls in school. We train in coding for kids, basic computer skills, and digital communication for women with businesses. We have successfully organized yearly Africa Code Weeks funded by UNESCO, SAP, CT Science Centre, Bundesministerium für wirtschaftliche Zusammenarbeit und Entwicklung (BMZ) and Google. 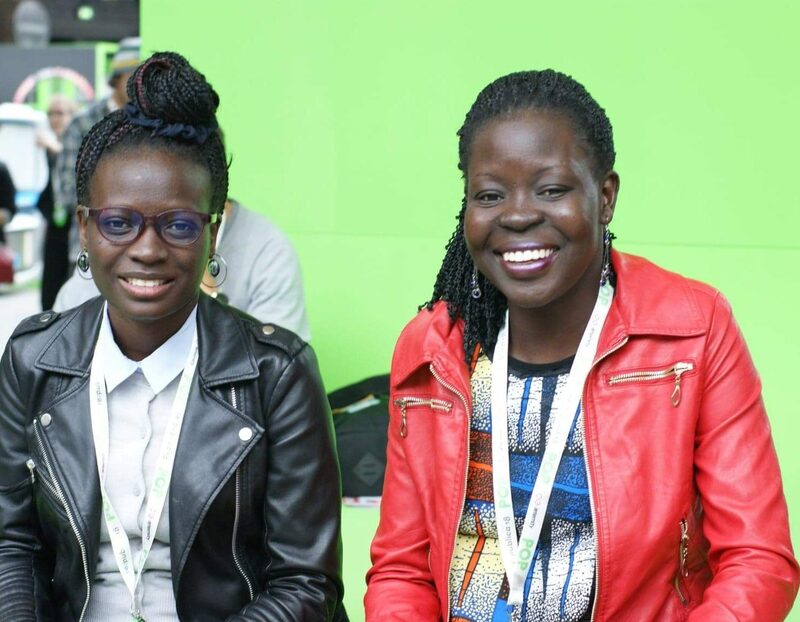 Eva and Yine are the founders of the GoGirls-ICT Initiative, South Sudan, a Technology Organization that mentors women and girls. It is a non-profit initiative in the fields of computer science, hacktivism and peacebuilding. Following a philosophy of ‘Chain Based Trainings (CBTs)’ it focuses on mentoring independent, innovative and confident girls and women who can proudly compete with their male counterparts in the world of ICT. Among other competitions, the organization has won the third place at the UNDP Innovation challenge with their ‘Time to Shine ICT project (TToSICT). Growing up as a refugee in Uganda never stopped me from dreaming always. I wanted to be a pharmacist since I was very good in Chemistry until the expected happened when my high school results came out, my performance was not good thus, I could not make it. And at that point in time, my parents could not even afford to take me to re-sit for form six again, but one thing I remember telling my parents was, everything happens for a reason which God knows best. And sooner than, I knew it,CISCO networking academy in partnership with Makerere University was offering scholarships to students who passed math or Sciences in their O’level and I am lucky that I was one of those they selected to attend the course. Long story short, my performance was outstanding that my instructor recommended me to apply for Bachelors of Science in Computer Science at the University straight way and excelled in it too. Most of the time at campus, I made sure I participated in several tech trainings for students which broadened my knowledge and understanding of variety of opportunities the field could offer me. But all in all, hard work, determination with discipline, being open minded, focused and having a mentor who believes in one’s potential is key to achieving one’s dream not forgetting God above all who directs our path when we seek him first. 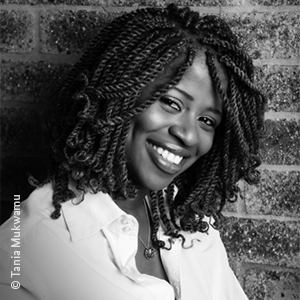 Eva Yayi was born and raised in Uganda to a South Sudanese father and a Rwandan mother. She had a passion for electronics repairs and building engineering jobs that are usually male dominated. She pursued a university degree and acquired a Bachelor of Science in Computer Science from Uganda Christian University; and is a Masters candidate for a Masters of Science in Information Systems from Kobe Institute of Computing, Japan. 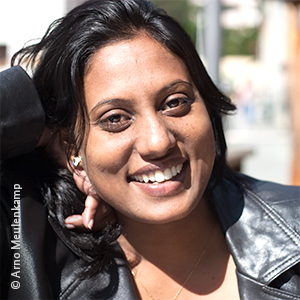 She is interested in Open hardware innovations and Open Education resources. She has partnered with numerous international organisations, and has spoken at leading African ICT conferences including ICT4Ag 2013, Rwanda. Since graduation she has worked with local NGOs in South Sudan, including CEPO (Community Empowerment for Progress Organization) as a media and IT officer, and Kapital Movie with whom she was a Program Researcher and Director of the #PeaceHackCamp project, 2015. As a year-long program that included IT and video production training, #PeaceHackCamp concluded with South Sudan’s first international yet community developed technology, social activism and peacebuilding event, launching a series of events that have since taken place in Colombia and Egypt. She works as a Lecturer at the College of Computer Science and Information Technology, University of Juba. My first computer had a bug and needed fixing, so I reached out to a friend, and I was amazed and also curious to know what he did to fix it. That’s when I realized how cool it would be to learn to do something so impressive. So my true inspiration came when I realized how complex but yet amazing technology really is. Its possibilities are limitless, and it’s always evolving, and I wanted to be a part of something so fluid. Some of the challenges for me is learning it all. I mean, I don’t think you can ever learn it all since it has such a large spectrum. For example, you might have someone who is good at networking, then another who is good at software developing or programming or coding. IT in itself is a challenge but it’s exciting because it stimulates the brain. So for me, it’s about keeping an open mind and using every opportunity to learn something new. The advice I would give to girls out there pursuing a career in the ICT field is to just GO FOR IT! get your feet wet and see what area you cling to most. We’re no longer in an era where only men can get these jobs, but we as women can as well. So if ICT is your passion then go after it will all your heart and with an open mind cause I believe the best job or career is the one in which you’re using the skills you enjoy the most. Tatenda, a citizen of Zimbabwe, is a senior Applied Mathematics and Urban Planning (Geospatial Analysis) major at Virginia Commonwealth University. She is a 2018 Chicago Council Global Food Security Next Generation Delegate. She is a previous intern of the USDA where she worked in the nutrition and agriculture department, and the USAID where she worked in the Securing Water for Food Division. She was part of the winning team at the Clinton Global Initiative University Codeathon where she created a food waste application. 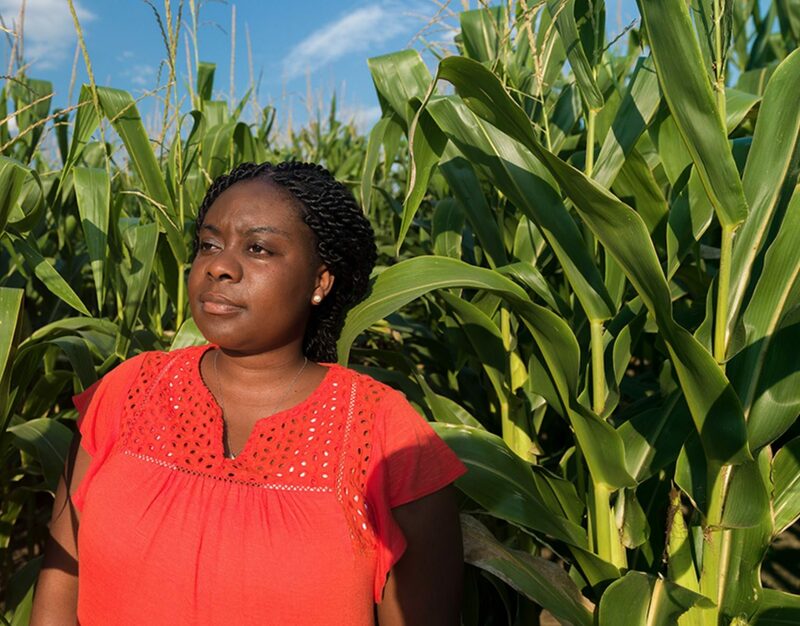 As a teenager, she survived food shortages of historic proportions in 2008 and she has made it her commitment to see childhood hunger eradicated in her lifetime. Shiri is an agricultural practice that creates software, mobile applications as service solutions for farmers while creating a vibrant ecosystem of agricultural alliances. The Shiri application allows peer-peer communication between African farmers and agricultural stakeholders. We believe in an Africa without hunger and are convinced tackling agriculture is the first step. Once revered as southern Africa’s breadbasket, Zimbabwe’s agriculture has struggled. There is lack of market information for agricultural production leading to post-harvest spoilage. There is also low agricultural productivity resulting in food deserts due to lack of efficient tools and information about better agricultural methodology. Shiri’s application enables peer-to-peer communication between farmers and stakeholders. This builds a strong agricultural network. Farmers can also make profits by cutting down middlemen in the sale of their produce. Seed and agrochemical companies can advertise and reach farmers directly. Shiri gives farmers opportunity to sell their produce directly or buy from others which solve post-harvest spoilage and let farmers earn money. Microfinance agencies can become more easily accessible to all farmers. Farmers check the weather forecast and do planning beforehand. Farmers can share tools and equipment by renting them out, especially tractors. Additionally, farmers have emergency support from veterinarians or can ask for advice on agro extension and financing. Underrepresentation of African women in technology is not just sad; it is alarming! What this means is that women across the African continent are being left behind in the creative digital revolution every single day. Developers in Vogue aims at creating a relevant community of highly skilled female developers who are passionate about using technology to revolutionize Africa and beyond. We train females in the latest technologies and connect them to real-time projects and jobs to enable them apply their skills and earn an income. Knowing the value of having female role models, we assign dedicated mentors to our ladies to provide them with guidance and support. Our online jobs and learning platform gives us the potential to scale across the continent. With projects that include using machine learning to detect eye cataracts, a platform that connects people with waste to recycling companies, an app that helps households to save electricity and others, African women like those on our programme are gradually changing the face of technology. These are the kind of stories we want to tell in Africa – the stories of bold African women who are taking unconventional paths to be leaders in male dominated fields. Launched in 2017 and with a community of a hundred amazing females, we have successfully implemented digital projects on behalf of the German Federal Ministry of Economic Cooperation and Development (BMZ), Google, Digital Opportunity Trust, Stanbic Bank and others. This is the best time to show the world that not only do African women know how to take great selfies, we know how to build game-changing apps, too. The future of technology is female so let a sister know! 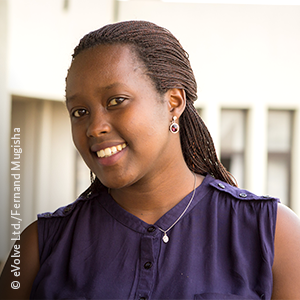 Catherine Mahugu is a software engineer by profession and a change-maker by passion. With a love of all things binary and a keen eye for design, Catherine has been involved in various ICT for Development projects. Catherine is also the founder of Soko. Soko is a brand redefining the aesthetics of ethical fashion by creating beautiful, handmade jewellery. Soko artisans use locally-sourced and eco-friendly materials whenever possible, such as recycled brass and reclaimed cow horn and bone. The collections are inspired by architecture and traditional tribal designs, creating a strong yet minimal aesthetic that hints at the brand’s origins. Soko employs technology to empower and provide equal access to opportunity for marginalized artisans.Our supply chain innovation uses the mobile phone to connect independent artisan entrepreneurs to Soko.With Soko’s mobile tools, artisans have access to an entire world of consumers, expanding their business horizons and entrepreneurial prospects. We are proud to provide our customers with a new kind of luxury: handmade, ethical goods at accessible prices. Soko works with some of the world’s best brands and customers to shift the perception of ethical fashion and promote conscious consumerism. Regina is the CEO of Soronko Solutions. Soronko Academy is a coding and human centered design academy in Ghana. It was started to sustain the impact of Tech Needs Girls. Tech Needs Girls is a mentorship program where underprivileged women and girls are taught to code and create technology. Tech Needs Girls has trained over 5000 women and girls in 8 regions in Ghana and expanded their impact to Burkina Faso. Some of the mentees have received full scholarships to study computer science in university, others have started foundations and online business. Andariya is a bilingual digital cultural platform and magazine on and from Sudan and South Sudan, expanding into East Africa as of October 2017. Andariya was launched on February 6th 2015 to fill the void of positive and constructively critical digital cultural stories on the Sudans. The magazine covers grassroots issues as well as diaspora issues from and about the two Sudans, with a mix of positive and critical perspectives on gender issues, technology, current affairs, environment, literature, film and more. Andariya strives to provide content for the socially conscientious, information hungry and worldly exposed Sudanese and South Sudanese audiences at home and beyond – in Arabic and in English. Leveraging multiple backgrounds across a rich network of youth and professionals from the Sudans, we present tasteful, insightful, sharp, critical and modern content in multi-media formats. I was born in Cairo, Egypt. I studied Political Sciences in Cairo University and completed my Masters in International Relations from Saint-Joseph University in Beirut. Then received my diplomas in Women’s Health in Stanford and in Women’s Human Rights in Toronto. 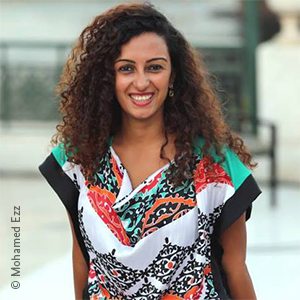 I have been working in the field of combating violence against women in advocacy, awareness-raising projects and campaigns with the UN, local NGOs in Egypt and in MENA region since 2008 while focusing on using arts and digital tools in campaigning for gender equality. Working with women and young girls I encounter many cases of cyber violence, abuse, forced relationships and even trafficking. Although girls’ access to education in Egypt is growing, yet young women receive no education about their rights, how to protect themselves from violence or where to seek help. This inspired me to focus on projects that offer information and support women in finding services they need in cases of sexual violence (legal services, health care, psychological support). As a feminist researcher it became evident to me as well that with the booming use of smart phones, social media applications and digital technology, cyber violence against women is alarming. I find it important to use the same platforms to spread knowledge and I founded with three women the platform “The Uprising of Women in the Arab World” in 2011 to voice women’s experiences and highlight regional challenges that women face using social media. With zero-budget we were able to use our digital platform to raise awareness, produce information material and even organize street campaigns on violence against women. 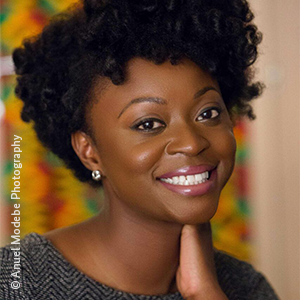 Afua explored many fields of interest in the search for finding out what she actually wanted to do: public relations, communications, law, and business. The common theme among these professional areas was to be active in her community and to help other people. 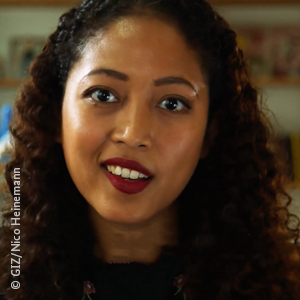 Afua was drawn to technology because its potential to create content that transcends national borders and give people the ability to feel like part of a more global community, even if they are physically separated. Her first job in technology came about unexpectedly: She combined her university studies in political science, business, and communications to earn a position with a mobile advertising firm doing business strategy. 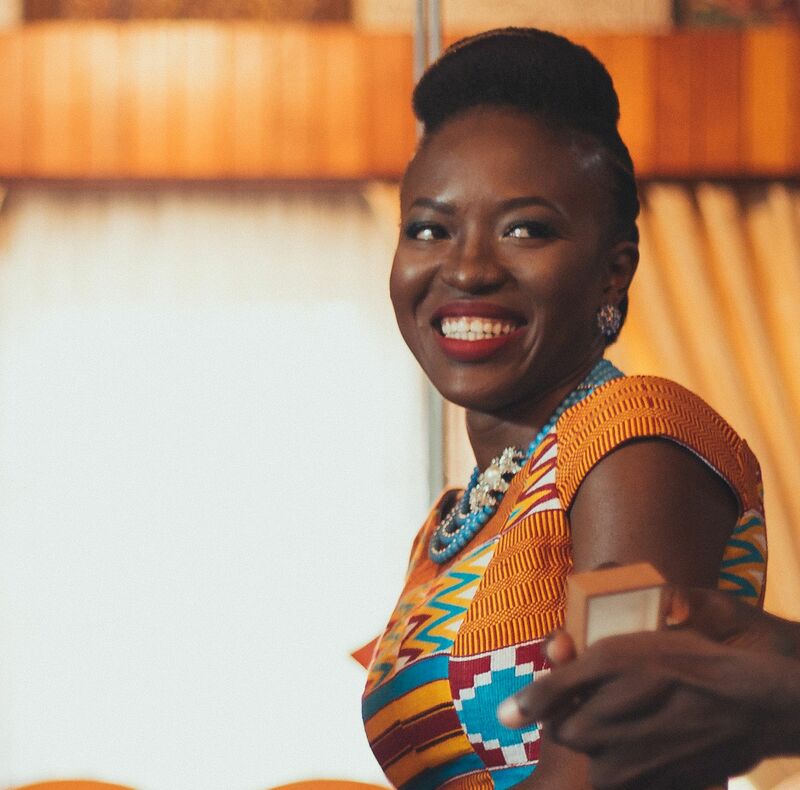 Afua started She Leads Africa inspired by her own experiences and recognising that despite not predicting the path she would take to where she is today, she was blessed to have people around her who guided her in the right direction. She laments that this is not the case for many girls. 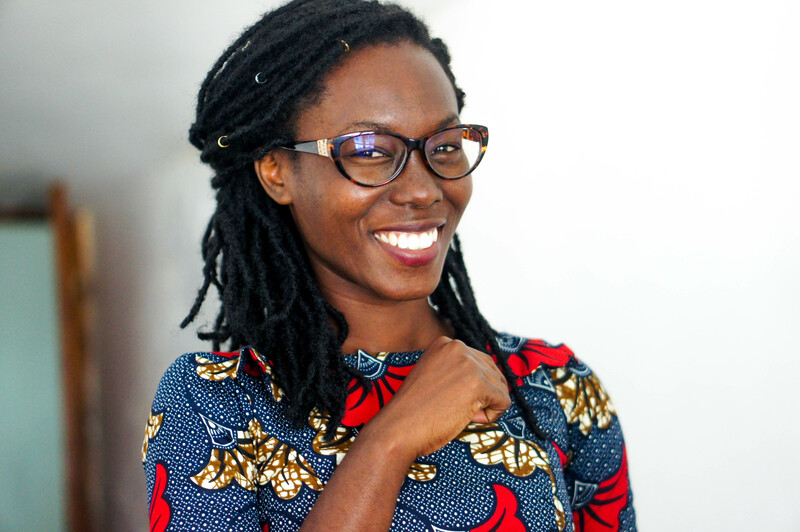 Afua taught herself how to code. She knows how overwhelming it can be. And she is convinced that technology can have a huge impact on society and communities as motivators for getting involved with social development. 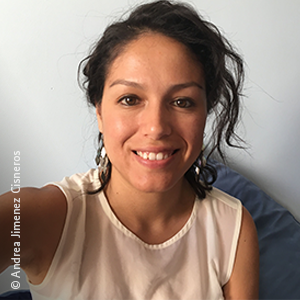 Parting from her childhood dreams of becoming an actress or a dancer, Andrea’s desire to help people led her to social work and ultimately to a career in Information and Communications Technology for Development (ICT4D). She was driven by her family’s support but did not study STEM subjects at school. Nonetheless, she used her artistic talents, communication skills, and development background to obtain an internship with a Peruvian NGO, which teaches young people living in the jungle how to use technology. Andrea feels that for many women, the key challenge when pursuing education and a career in ICT is the lack of financial resources. Families often prioritise the education and career of the male offspring, meaning there is little, if any, financial investment in the girls. Andrea believes that investing in girls along with mentors, role models, and networks of women who can encourage more young women to enter technology is key. She sends a positive message to young girls to have faith in themselves, keep working towards their goals, and believe that they deserve to be where they are. 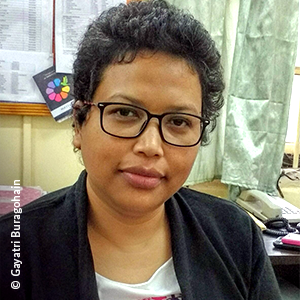 Growing up in a peri-urban area of India pervaded by regional conflict, Gayatri Buragohain did not find it easy to encounter technology of any sort. Observing her father as he tinkered with and repaired the different devices in her home was what inspired Gayatri’s interest in technology. This also led her to pursue a course in engineering rather than become a doctor. Given her relatively poor socio-economic background, she could not afford to attend a high-quality college. 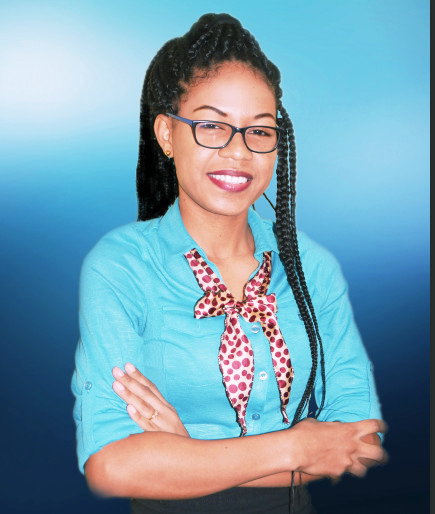 During her electronics telecommunications engineering studies, she found it difficult to learn because her college did not have a computer lab or other vital equipment to develop her e-skills. Hong Phuc admits she was lucky her entire life not to have pressure or expectations placed on her by her parents. She says it is very important that girls and women have support from their families and the freedom to choose for themselves what they want in life. 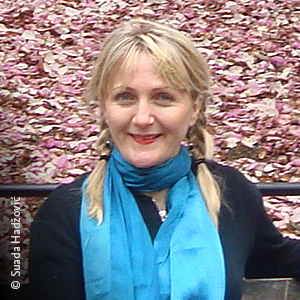 Whilst as a child, she dreamt of becoming a flight attendant to fly around the world. 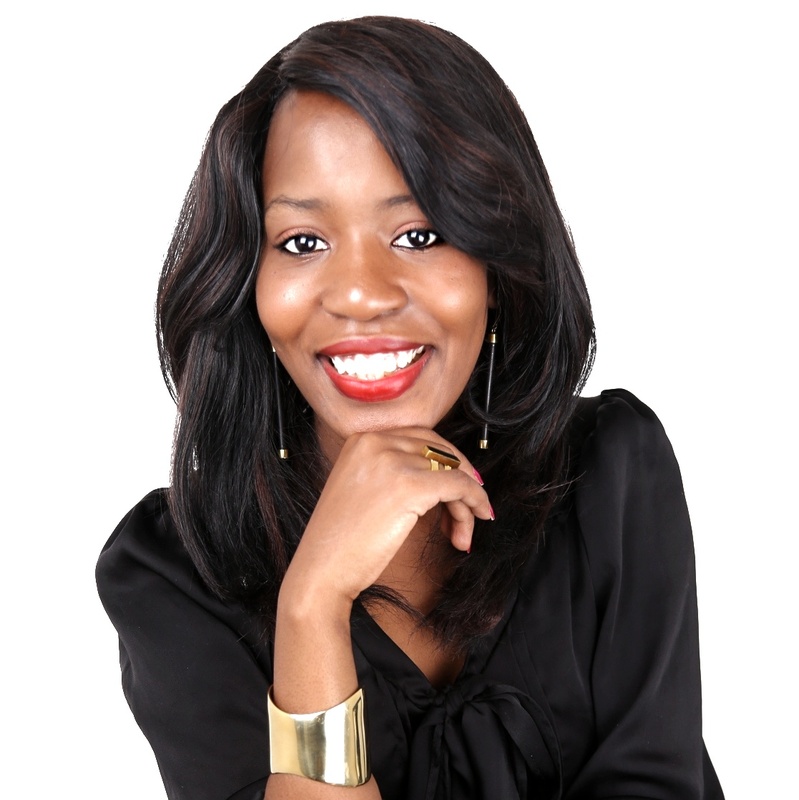 Later, she obtained a business degree specialising in e-marketing. She based her decision on the industry demand and outlook of the job market. 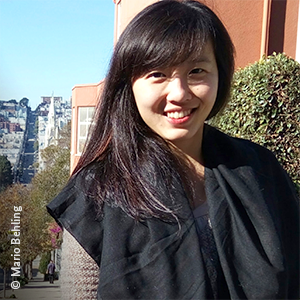 At her first job as a freelance translator at a FOSS-Bridge in Hanoi, Hong Phuc learned about open source. She eventually started to teach herself how to code with the help of her software engineer friends. Hong Phuc says that the two key hurdles girls and women face are social perception and inequality. For example, people think that women are not as good as men when it comes to technical topics. Additionally, Hong Phuc says that women unfairly get paid less than men for the same job. She believes that in order to promote more girls and women in ICT, governments and policymakers need to: support women who wish to pursue a degree in technology, provide resources to help grow the local female tech community, and create a chance for female role models to share their success stories. Born and raised in Myanmar, Htaike Htaike was always amazed by technology. At the time, she felt lucky that her parents allowed her to attend computer classes in high school. On the other hand, actually owning a device was a barrier and thus it was difficult to keep up. Now working in the technology field, she says it is quite challenging being a female in a male-dominated industry. Htaike Htaike says the challenges exist because although women are able to study ICT subjects, when it comes to entering the workforce, they are discriminated against. Society does not perceive technology to be a good career for women as it is “too hard for them”. She says many of the jobs are not female-friendly, as, for example, coders and technicians have the perception that they need to work overtime, which “is not very friendly for women”. Even if women do complete their degree, they do not enter the workforce. Htaike Htaike says it was only her passion for technology that drove her to pursue a career in tech despite the challenges but she felt that she missed having a role model and stressed how important it was to have one. From a policy point of view, the government needs to look at the issues with a gender lens and ask: What are the needs, where are we now and why? They need to promote safe online spaces, rights, privacy, and accessibility. 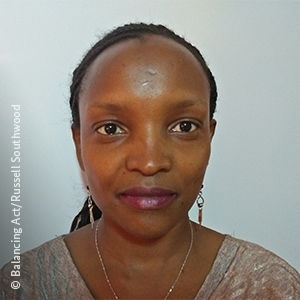 Irène was born in the Democratic Republic of the Congo but returned to Rwanda in 1999 before beginning studies there in 2000. She pursued a bachelor’s degree in educational technology because she wanted to make a change in her country. In her experience, she sees that girls often do not understand how the ICT sector can be a good one for them to join. As a result, some girls do not believe in themselves and their ability to do well in technology. 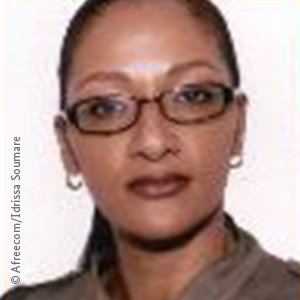 Irène believes that the importance of girls’ confidence should not be underestimated when trying to increase their representation in the ICT sector. Like many of her female peers, Isis first dreamt of a more traditional career path as a doctor. Instead, she pursued a career in ICT after being exposed to the first modern technology boom in Silicon Valley while she was a student in California. She worked hard at school and was an all-round good student, but she excelled most in history classes. Isis defies the popular assumption that girls need a more tech-related education to follow a career path in ICT. Despite this, she feels that there should be greater efforts focused on encouraging girls to study STEM subjects and to provide the opportunities as well as develop their abilities so that they may independently explore their interests in this field. Isis believes that hurdles for women arise from the fact that the ICT industry is still relatively nascent in Africa. To inspire young women, she says that the visibility of women in technology needs to be raised for it to encourage others who may wish to work in this area. Jovia Margaret Nanyonjo first became interested in an electrical engineering career when she was young and helped her mother fix toys and gadgets at her workplace. 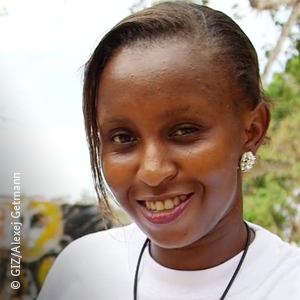 Jovia credits her sister with her digital literacy development because she allowed her to borrow her personal computer and mobile phone once at university so that she could learn to use the devices to help complete her course work. 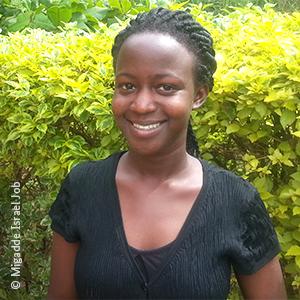 This led Jovia to take an Android development class, where she was one of only three girls enrolled. While it was difficult to make her talents known in a class full of young men, she worked hard to keep up with her peers. She believes that having access to technology can help young women be more creative, eventually transform their access to solve community problems, and tap into employment opportunities. Two steps she thinks the private sector can take to promote more females in ICT are lowering or eliminating the cost of ICT access for young girls and to make the hiring processes gender-blind in order to minimize discrimination against women. Jovia also believes that governments can help girls by providing scholarships to study ICT and by ensuring more ICT trainersare female. Iffat’s family is from Pakistan but she spent much of her early youth growing up in Libya. Exposed to technology and encouraged by her father who had recognised the potential of technology before it became mainstream, she taught herself different programmes on their home PC. Iffat says that, somehow, we have started believing that computers are for boys only and recalls her experience of being the only girl in her school’s computer class. While she did not find this intimidating, she did often feel awkward and it was not an environment she could thrive in. Iffat believes that teachers are not as encouraging as they should be for girls who want to go into technology. Frequently, families also reinforce certain stereotypes. Iffat quickly realised the importance of having computer skills. These accelerated her efforts to create a community technology centre in rural Pakistan – the first of its kind. She started teaching office skills and how to use computers in everyday life. Iffat says that “digital literacy is going to become the new literacy” and will widen the gap between the developed and developing worlds. She believes that governments should include coding as a subject in their national curricula and that it should globally become the second language in every school. Iffat recognises that there is a huge pool of talented women where the skills gap needs to be addressed. to, she does not believe she encountered gendered stereotypes while studying tech-based subjects. Suada advises young girls who are interested in a career in technology to “never give up”, saying they will be rewarded if they just keep pushing towards their goals. From a relatively young age, Mariana Costa Checa was aware of the rampant inequality in her home country of Peru. Because of this, she wanted to work to support people who did not have the opportunities that she had growing up. Although she did not study an ICT-related subject at university, when she started a software company with her husband, she realised that many of the developers who applied to work for her company were self-taught. Inspired by this, she decided to create a training centre where low-income women could participate in skills development activities to help them launch a career in the ICT sector within six months. 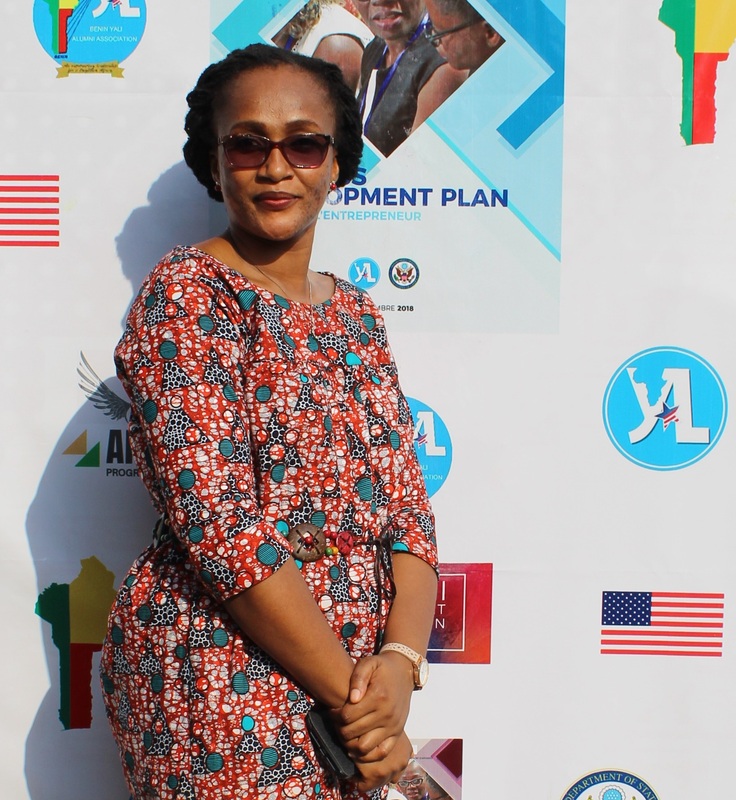 Through her experiences, she came to believe that lifelong learning is the key to success for women who seek to work in technology, whether as an entrepreneur like herself or in a more technical area like the developers her centre trains. Along with Zandile Keebine, she attended a number of hackathons and found they were largely attended by men. 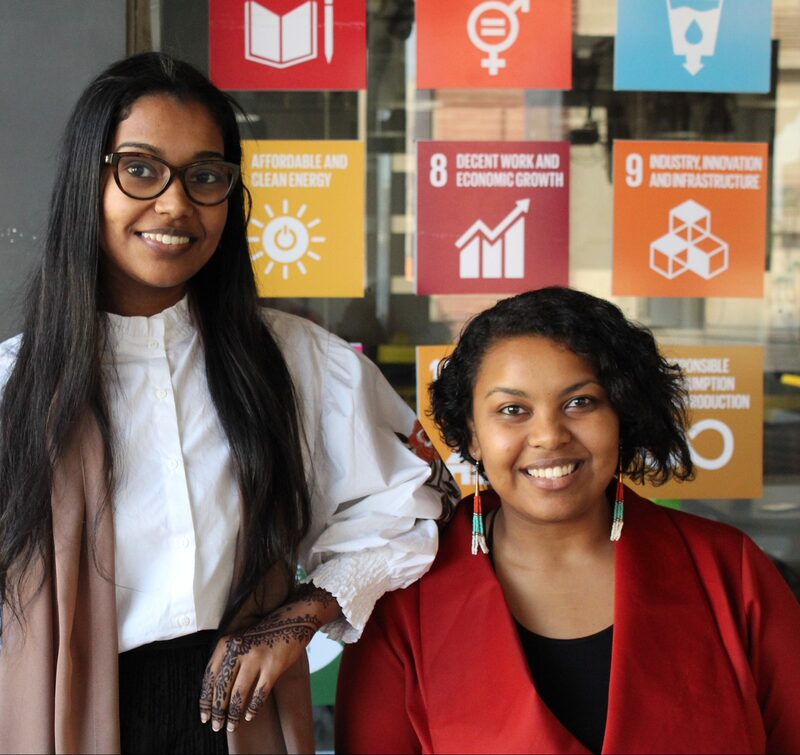 They founded GirlCode ZA to provide a more inclusive platform but also as a space where women had a chance to flex their “tech muscles”. She believes that more young women should take advantage of opportunities in the tech sector and grasp the opportunities that are beginning to open up. Mary feels strongly that women need mentors and tells young girls that with the support of one and if they work hard, “it’s no different, you can be just as successful as anyone else out there”. Mary’s message to the G20 is that they should provide mentoring programmes for young girls as well as the equipment they need to build their skills. When she was young, Tania did not have a set career goal. However, she always knew she wanted to work in business. Understanding the infrastructural challenges in Africa, she was attracted to technology use as a potential mechanism to overcome these. 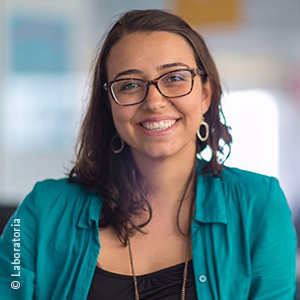 Her family was very career-driven, but it took Tania’s persistence for her parents to accept her chosen career path. Her first opportunity to work in technology came with Nokia, where she spent eight years before moving to Microsoft. She sees the main enablers for women in ICT as receiving equal treatment and being given opportunities to demonstrate that women can perform as well as their male colleagues in the sector. Tania advises young women today to “just go for it”. From a policy perspective, Tania says that more support should be given to schools to implement initiatives aimed to promote girls. She says that to encourage more women to consider ICT careers, they need to be exposed to diverse people in tech and to the opportunities that exist in the industry at an early age. Tania says it is not just about the boys or pleasing parents or partners. She encourages young women to ignore what is popular or what is accepted to ensure they follow the thing that they are actually yearning to do. Encouraged by one of her professors and supported by a very entrepreneurial family, Zandile was inspired to follow her own path instead of everyone else’s. With qualifications in applied mathematics, she accepted an internship to become a developer and soon realised that technology is a field that appeals to her. 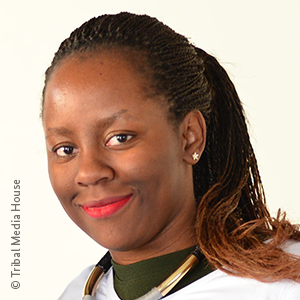 After researching software engineering companies, Zandile soon acquired her first role at a start-up software development company. She believes that the main hurdles for women entering technology are the fact that jobs in this sector are dominated by men and, because of this, some colleagues frequently assume women are not as capable as their male counterparts. Zandile offers positive advice to young girls, saying that this male dominance should not be a deterrent: To be fearless and to dare to believe that you can create things and, importantly, know that you are as capable as the men in the industry. She suggests that by having initiatives and forums for women to come together and discuss the challenges as well as the opportunities, they will be better prepared to join the industry. Mentoring can help bring young women into the sector by showing them how to perform different jobs, telling them that the industry is exciting, and overall simply encouraging them. 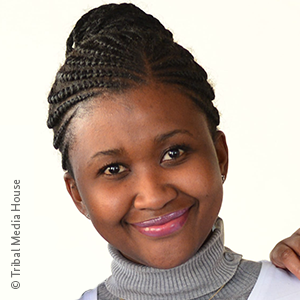 Zandile believes that women bring a new perspective to technology and can have different yet strategic viewpoints when developing solutions to problems they are presented. By leaving them out, half of the population is not represented. Amina had her first contact with technology when she was studying abroad. She got her first mobile phone when she was introduced to GSM technology by her father who worked in the telecommunications sector. But she knows that this is not the same story for all girls in her native Guinea. Girls often stop attending school because they need to help their mother at home, and they are also scared of the conditions that exist there. Amina says that most girls do not even dream about having a phone and that teachers need to be able to pay attention to nurturing girls towards ICT. Beyond that, once girls have access to digital skills, there need to be universities and schools in all areas of Guinea that are accessible for girls. Amina wants to break through the stereotypes that exist for women. She says that women need equal pay and equal opportunities; and that governments could enforce policies that ensure equality and diversity through setting quotas in the workplace. Amina sees the importance of mentors and role models and believes that by valuing the women who have already succeeded, it will encourage all other girls and women to move forward. In her role in communications at Orange, she uses Facebook, Twitter and other forms of social media every day. 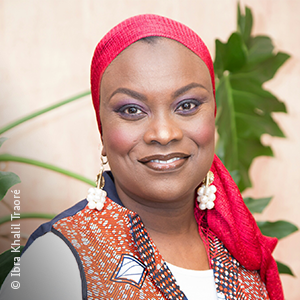 While her own journey – undertaking studies in marketing and communications – is quite common for Senegalese women, Rokhaya says that girls must be encouraged to take alternative pathways. She says that girls and women need to have mentors and be exposed to other women who are already in the ICT sector, so they have examples of what they can do and opportunities available to them. Rokhaya believes that women in Senegal are very entrepreneurial and if they can be empowered with ICT, it will help women promote their inclusion in income generating activities. She says that programmes targeting girls and women in ICT should run throughout the year, not just once-off or annually. This can be done through increasing the number of incubators in all regions of the country. She says that already women in Africa are becoming more powerful in politics and in the economy. Now the goal must be to make women more powerful in ICT. Sajeda Sawalha grew up in a small village in Palestine, surrounded by her parents, two brothers, and four sisters. Because of the unresolved conflict between Israelis and Palestinians, she says that she has been limited in life opportunities and especially in education. Despite this, she scored a notable 97 % on her high school exit exam, and others encouraged her to study medicine or engineering. However, she chose to study computers instead because her father enabled her to use computers when she was young and gave Sajeda her own laptop after receiving high academic marks in the 9th grade. She enjoyed trying to figure out how computers work and to get the machines to do what she needed. Sajeda eventually gained admission to a competitive dual-studies university programme in Information Technology, which combined theory and practice so that students could work and study at the same time. But she faces problems finding a place to live that is near her university and place of work. 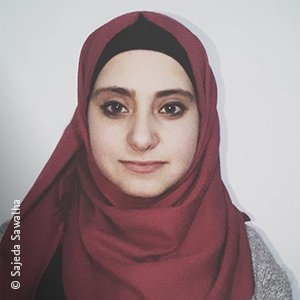 Sajeda now lives far away from her family, frequently moving between Ramallah and Hebron. Nevertheless, she thinks the diversity of the career paths one can take in the ICT sector is exciting. She suggests that governments provide more scholarships and employment opportunities for young women to help them become interested in technology. The private sector could also contribute to this goal by ending discriminatory hiring practices that favour men. 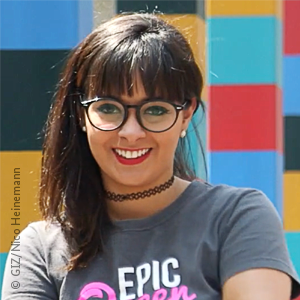 Ana is a founder of Epic Queen, a nonprofit that inspires and educate girls and women as creators of technology. 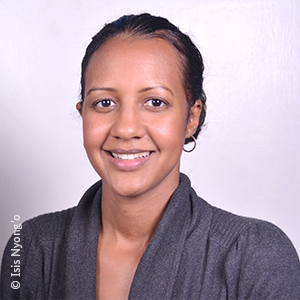 Ruth Kaveke is the executive director of Pwani Technogalz, a community based organization in Mombasa, Kenya, registered by the Ministry of Culture and Social Services in 2015. 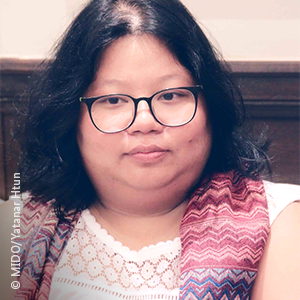 Anantya van Bronckhorst is the co-managing director of Girls in Tech Indonesia. Girls in Tech is a worldwide community enterprise that seeks to empower women in the technology sector. 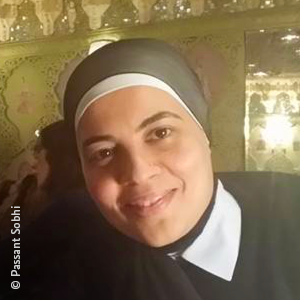 Passant was born in Egypt and spent much of her life growing up in Oman. After obtaining her degree in accounting, she wanted to work in the oil sector. Despite excellent grades, the field was not easy to break into and Passant pursued a different path. The first role she had in the ICT sector was with the Ministry of Education supporting the Egyptian government in reforming the TVET system through preparation of a TVET teacher national training policy. It was here that she realised the power of technology and, in particular, worked to promote the integration of e-learning. She mixed learning solutions, thus innovating to overcome budget limitations for expensive software.